You'll dodge, duck, dip, dive... and laugh out loud watching VINCE VAUGHN and BEN STILLER settle their differences in a winner-take-all dodgeball competition. Under the painful tutelage of legendary ADAA champ Patches O'Houlihan (Rip Torn), Peter LaFleur (Vaughn) and Average Joes take on the Purple Cobras, led by egomaniacal fitness guru White Goodman (Stiller). It's an over-the-top underdog tale filled with hilarious sight gags and BALLS-OUT FUN! This is another one that is rather silly, but still works as a very entertaining movie. It isn't going to appeal to everyone, but it is worth checking out. The plot is fairly simple and it is fully of crude humor, but it works. I remember when the movie first came out I wasn't interested, but then I read some reviews and decided to give it a chance. I'm glad I did. It is a very funny, though somewhat twisted movie. Fans of Ben Stiller should give it a chance. I've seen the movie several times now, and I still makes me laugh every time I watch it. White Goodman is a huge jerk of a character and he provides a lot of the humor. I really enjoy this movie. It has a wonderful mix of adventure, humor, and science fiction that works really well to make a very entertaining movie. The aliens are unique and interesting. I enjoyed how Jay was recruited to the Men in Black and adjusted to working with Kay. Several of the things that Jay does make me laugh. His reactions to some of the situations are really funny and help to make the movie more entertaining. Some of what happens is a little silly, but it still manages to work well for the plot overall. I think the special effects were done well. I posted a longer review on Epinions several years ago if anyone wants to take a look. This is a good sequel, though I don't like it as much as the original. The interactions between Jay and Kay aren't the same, though there is some explanation for that. The new aliens introduced are interesting. The plot isn't overly complex even though a lot of things are going on. It is interesting and makes for an entertaining movie overall. The effects are done well overall again, though I've noticed a few spots where they don't look as good. 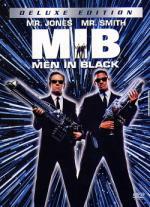 Will Smith and Tommy Lee Jones handle their parts well again, though Jones was better in the first movie. I think that is mostly because of the way his character is written for this one. Overall, I really enjoy this movie and think it is very entertaining. I did get a review posted on Epinions back after I first saw the movie. I still really enjoy this movie. It is a fun adventure and there is a decent amount of action and humor throughout the movie as well. The characters are entertaining and I think the cast is good. The effects are done well, though a few things look a bit dated now. The plot is kind of silly and not realistic at all, but it still makes for a fun, entertaining movie that is worth seeing. It isn't something that appeal to everyone though. I did get a review posted on Epinions a while ago. I think this movie works really well as a sequel. The characters have changed a bit, but they are still true to the way they were depicted in the first movie. The plot is entertaining, though once again, it can be silly and it isn't realistic. The movie has the same blend of action, adventure, and humor that worked well in the first movie. I loved the fact that Rick and Evie were still together and that they had a son. People that enjoyed the first movie should give this one a chance too. I did get a review posted on Epinions several years ago. 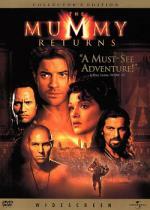 Brendan Fraser and Jet Li star in the action-packed adventureThe Mummy: Tomb of the Dragon Emperor! When a 2,000-year-old curse is broken, a ruthless dragon emperor (Li) comes back to life with a diabolical plan to enslave the world. 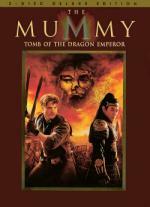 Mankind's only hope against him and his legions of undead warriors lies with the courageous O'Connell family, who chase him from the dangerous catacombs of China, to the icy Himalayas and beyond. Featuring intense battle sequences, breathtaking visual effects and extraordinary creatures, it's a thrilling journey that Roger Ebert of the Chicago Sun-Times calls "the best of the series!" This is an entertaining addition to the series, though it isn't as good as the first two. Maria Bello is fine as Evie, but the character just isn't the same and the dynamic between Rick and Evie is changed as a result. I didn't mind that their son was back, but I think it would have been better if he was younger..maybe a teenager. As it is, he looks too old to be Rick and Evie's son. I also didn't like how the relationship in the family had changed since the second movie. The movie does have a fun adventure overall and there is some humor again. Jonathon - who I loved in the first two movies - didn't seem to do as much, which was disappointing to me. 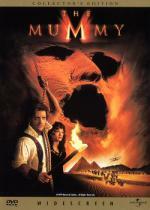 It was interesting that the movie dealt with a different sort of mummy coming back to life. That did offer some new things for the movie, though it is still mostly predictable. The movie is entertaining and worth watching, but I do think it could have been better. Now two are left: Susy, recently blinded and still learning how to live in a sighted world, and Roat, a psychopathic killer. Roat wants a heroin-stuffed doll he thinks Susy has. All Susy wants is to survive. Dim the lights, check the door's chain-lock, and brace yourself for a chiller as polished as the steel of Roat's blade. Audrey Hepburn earned her fifth Academy Award® nomination* as Susy. Alan Arkin is pure evil as Roat, master of disguise and accents. Jack Weston and Richard Crenna co-star as his henchmen. 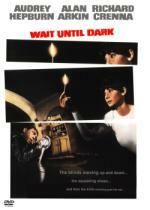 Building to a heart-pounding one-on-one confrontation, Wait Until Dark "belongs to the screen's most memorable thrillers." (David Shipman, The Story of Cinema). This is a very well done suspenseful movie. Some scenes move a bit slower while everything is being set up, but it works wonderfully overall. All but a few scenes are set in Susy's apartment which helps to build the tension, especially later in the movie. I didn't find the movie to be suspenseful at all, and I was genuinely surprised by a few things that happened. At one point there is a..jump moment. This one is very well done and works perfectly with everything that is going on that the time. Susy's husband did annoy me a bit with his attitude toward her. I get that he is trying to get her to be able to take care of herself and not be dependent, but he is a bit harsh at times. Overall, this is a very well done thriller that deserves to be seen. I enjoy this one overall, though I know it has issues. It is very clear that the plot was originally intended to go in one direction and then changes were made, but some of the scenes tied to the original plot were left in the movie instead of being changed or removed. That does make the plot a bit of a mess, but I still manage to enjoy the movie overall. It is entertaining and I think the plot is interesting. It isn't going to appeal to everyone and I know that many people think it is horrible. The movie could have been funnier, but there is a decent amount of humor in it. Just the facts: Dan Aykroyd is Tom Hanks' unlikely partner as the two set out to solve a pattern of unusual robberies and, along the way, encounter an oddball assortment of obstructions to justice. I've seen some of the episodes of the television show when they were on Nick at Nite. Aykroyd is perfect in the part, making it very believable that his character is the nephew of the original Joe Friday. He's very by the book, and a bit uptight about certain things. The way he reacts to his new partner is entertaining. The plot dealing with the crime spree by the PAGANS is kind of silly, but it is still very entertaining. I could have done without seeing the giant snake at one point though. Overall, this is a fun, entertaining movie, though it probably won't appeal to everyone. Clock in for one of the most hilarious comedies ever made - presented for the first time as a Special Edition DVD! Jane Fonda, Lily Tomlin, Dolly Parton and Dabney Coleman team up to give this Sexist, Egotistical, Lying, Hypocritical Bigot Edition the 'Special' Treatment it deserves with all-new on-camera interviews! Also including a new audio commentary with cast members, deleted scenes, a twenty-four-minute retrospective, Parton's Oscar®-nominated hit song and much, much more, this definitive DVD takes laughter into overtime! 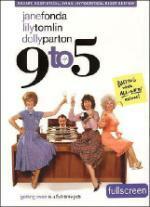 Stuck in a dead-end job under a boss that she trained, Violet Newstead (Tomlin) is at her wit's end. But when the boss' good-natured secretary (Parton) and a new hire (Fonda) decide that they've had enough, too, their revenge fantasy becomes hilarious reality in a scheme that spins wildly out of control! This movie is really entertaining and I think it has held up well. Dabney Coleman is wonderful as the jerk Mr. Hart. The scenes where the women imagine what they would like to do to Hart are hilarious..and what they actually end up doing is even better. Violet tends to stay calm in most situations, but when she panics, she does it in a big way, leading to some of the best scenes. I love that he gets put in his place. The characters are interesting and entertaining, which helps make the movie more entertaining overall. I have loved this movie for years, and I still enjoy it when I watch the movie. 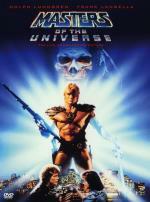 I know this one is a bit cheesy, especially with how He-Man ends up on Earth, but I still think it is an entertaining movie. I use to watch the cartoon when I was a kid. Some things were changed for the movie, but it still works for the most part. He-Man is a bit out of place on Earth, though that does add an interesting element to what is going on. The plot is interesting, though everything that is going on with Julie really doesn't serve much purpose other than to set up her as being vulnerable to manipulation at one point. The cast is fine and fit their roles. Courteney Cox makes one of her earlier appearances in this one. She is actually why I first saw the movie because I had liked her in the tv show The Misfits of Science. The effects look very dated now and some of what happens is rather cheesy. But I still really enjoy the movie. The movie could have been funnier, but there is a decent amount of humor in it. I have seen the original. I rented it after I first saw this one. I liked it too. I still may add it to my collection some day.